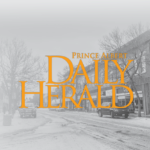 Daily Herald File Photo Prince Albert Mintos goaltender Spencer Welke earned his third shutout of the season on Saturday in a 2-0 road win over the Notre Dame Argos. Having lost two straight road games heading into this past weekend, a trip to Wilcox proved to be just what the Prince Albert Mintos needed. The Saskatchewan Midget AAA Hockey League side kicked things with a 2-0 shutout of the Notre Dame Argos Saturday evening and followed that up with a wild 5-4 overtime triumph over the Notre Dame Argos Sunday afternoon. 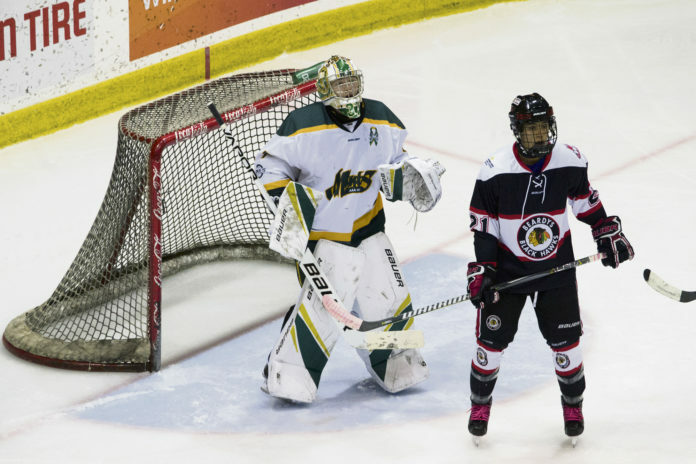 With the victories, the Mintos improved their record to 18-16-1-0 and are now one point ahead of the Hounds and Beardy’s Blackhawks for fifth place in the standings. Gavin Ingram had a pair of goals, including the overtime winner, and an assist in Sunday’s contest, which also saw Alex Ozar dish out a pair of helpers. Andrew Schaab had a goal and an assist each for the Mintos, who got their other goals from Gabe Klassen and Logan Cox as they erased a 4-0 deficit that had happened over the course of opening 23 minutes. Carter Woodside got the start in goal, but was pulled after he allowed three goals on 11 shots in the first 16 minutes of play. Spencer Welke finished out the contest and made 23 saves in 44 minutes. Coalson Wolford had a great afternoon for the home side as he had three goals and an assist for the defending Telus Cup champions. Josselin Dufey dished out two helpers for the 16-10-2-2 Hounds, who also got a goal from Maxwell Joy. Bryan Thomson, who was called up to the Lethbridge Hurricanes on a full-time basis Monday, stopped 28 shots in a losing effort. A day earlier, Welke picked up his third shutout of the season as he turned 28 attempts on goal from the 8-22-1-1 Argos. Blake Duquette and Dawson Springer both scored for the Mintos, who fired 32 shots at Cedric Rechsteiner. The Mintos are now off until next Thursday night, when they will pay a visit to the Blackhawks. They will return to the Art Hauser Centre on Feb. 2 and 3 for a weekend series with the Argos.